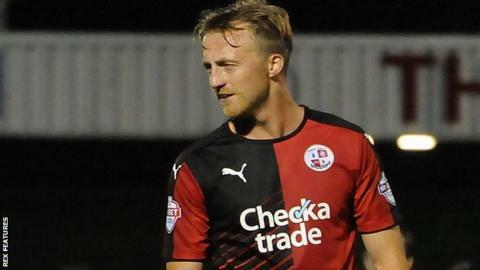 Crawley Town will not renew the contracts of five first-team players when they expire in the summer. Forwards Roarie Deacon, 24, and Lee Barnard, 31, have both been released having managed just six goals in 71 appearances between them. Midfielders Andy Bond, 30, and Lyle Della-Verde, 21, plus goalkeeper Callum Preston, 20, will also leave. A further nine players, who are out of contract, are expected to open discussions in the near future. The club also announced that Jack Rose, Liam McAlinden, Charles Dunne, Frankie Sutherland and Josh Yerworth have returned to their respective parent clubs at the end of their loan spells. Head coach Dermot Drummy said that there are already preparations in place for next season, with "the process of bringing in new faces" already under way. He added: "I am confident of recruiting the right players to take this club forward next season."